GREATER Dandenong council officers are turning over a new Leaf. 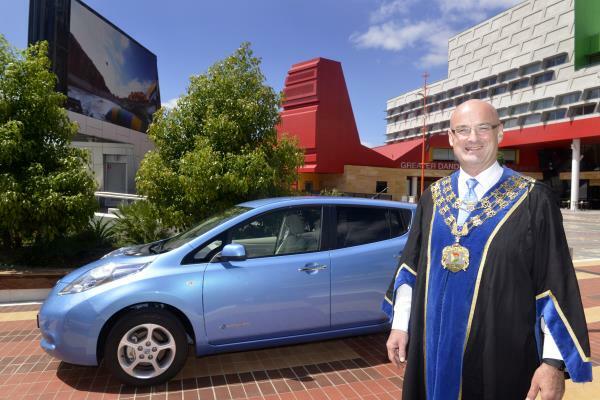 The city is trialling an electric motor car for two weeks to explore ways it can become more environmentally sustainable. Nissan is loaning the council the new Leaf model for local laws officers to use for field work. The council will assess the benefits, costs, practicality and efficiency of using electric vehicles for its operations once the trial is complete. A council spokeswoman said Nissan’s headquarters were in Dandenong South as well as a casting plant, so the council was keen to work closely with the manufacturer. “Also, the Leaf is a small vehicle which could potentially suit many of our local activities,” she said. The Leaf is 100 per cent electric and travels up to 170 kilometres on a full charge.